So far Tom Ashmore has created 6 blog entries. 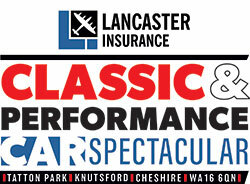 Join Classic American to celebrate 30 years of the Stars & Stripes car show. Low Ownership and Mileage for Classic Cars and Motorbikes! Check out this bad boy that’s going up for auction at the show!